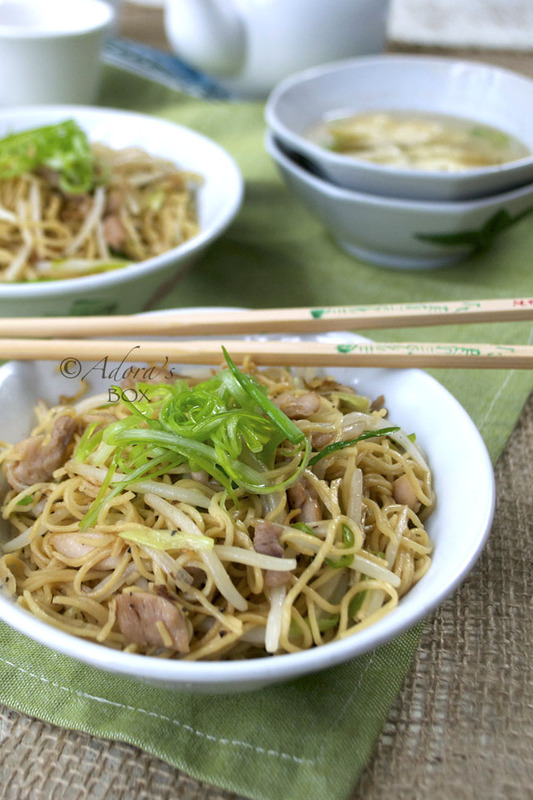 When Filipinos cook noodles, the more ingredients there are the better. My husband taught me that it is not always so in Chinese cooking. The noodles is the main ingredient; the rest of the ingredients are there to complement the noodles. This noodle dish is the perfect example of less is more. To start things right, choose the best noodles you can get. I used fresh wonton noodles but any good quality egg noodle will do. Only a handful of simple ingredients go in; basically all that is mentioned in the name of the dish. 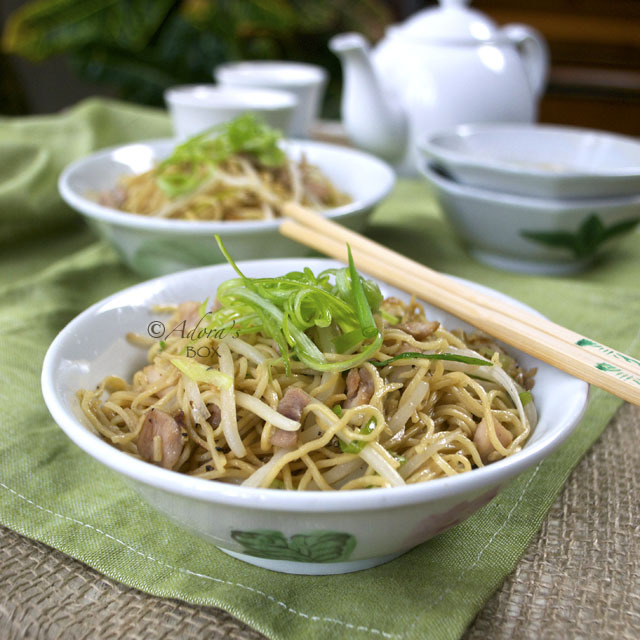 Although this dish is usually a vegetarian dish, I added a little bit of chicken meat as a flavour enhancer. 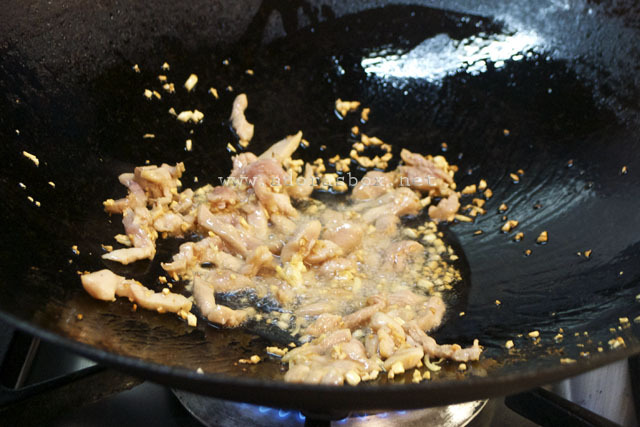 A very brief tossing in the wok is all it takes to make this dish. 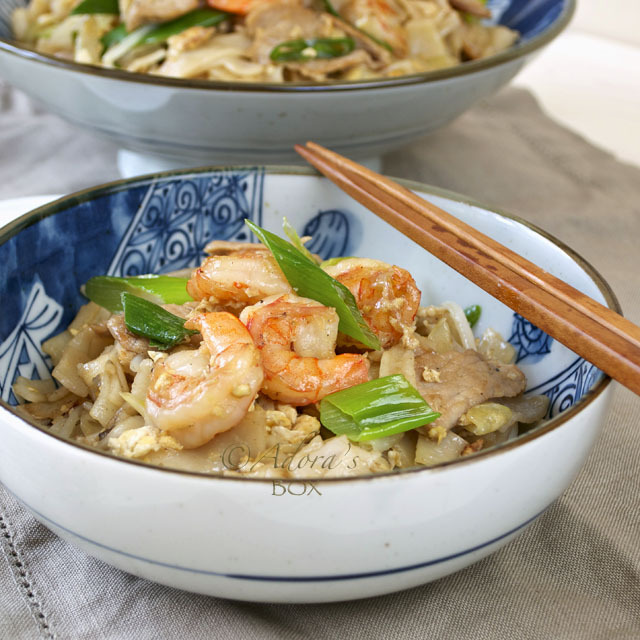 The finished dish is a perfect balance of the simple ingredients and the freshness of the noodles. This dish is perfect as a light meal or snack. It is as fuss free to eat as it is to make. 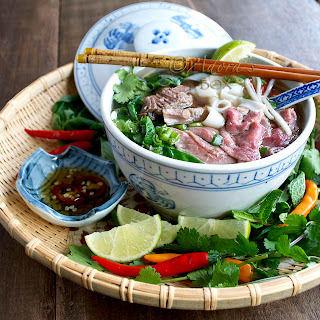 It is ideal served with other dishes such as dumplings or spring rolls. Boil plenty of water in a pot or pan. Separate the noodle strips and add to the water. Boil until al dente (about 1 1/2 minutes for fresh and 4 minutes for dry). Transfer to a colander to drain. Prepare everything before you begin cooking. The chicken should be cut into long thin strips. Season with 1 tsp. soy sauce. You may omit the chicken if you want a vegetarian version. 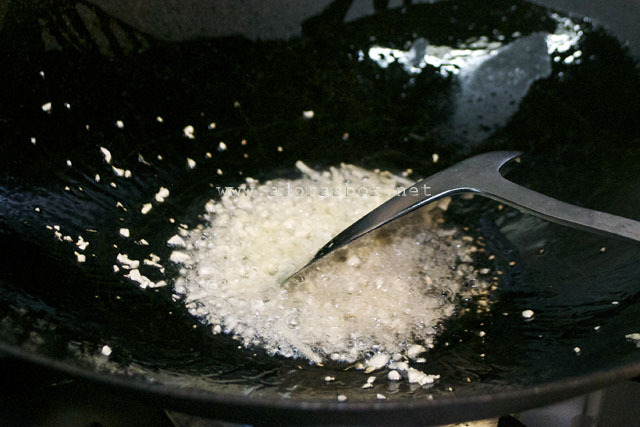 Heat up a wok until smoking. Add the cooking oil then the garlic and ginger. Stir briefly then add the chicken meat. Stir fry until it changes colour. 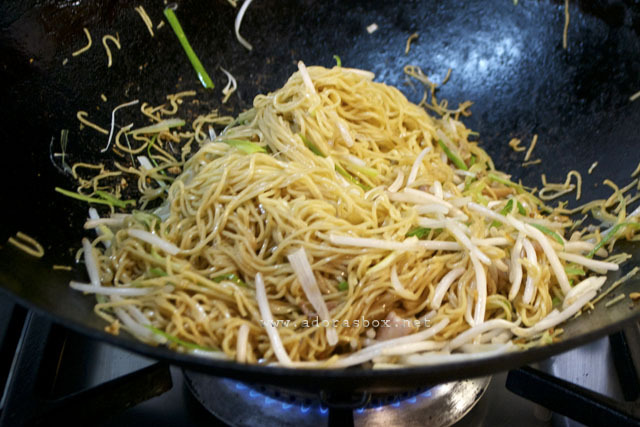 Add the noodles and, spring onions, the sauces, sugar and pepper then stir fry for about 3 minutes until all the ingredients are well combined and piping hot. Add the bean sprouts and sesame oil and stir to combine. 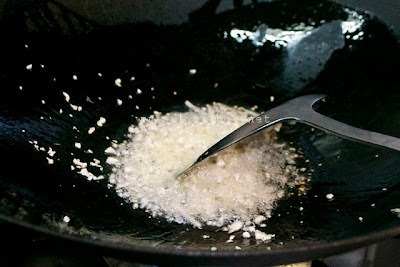 Take off the heat and transfer to a serving bowl immediately. Serve. I like simple fried noodles just like what I see here. 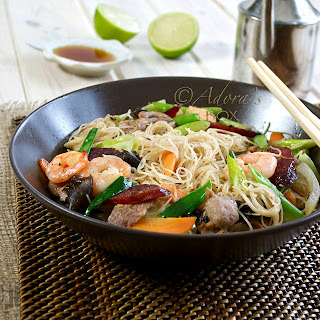 You know here, in the morning the chinese food stalls they usually sell what we called "economical rice noodles". 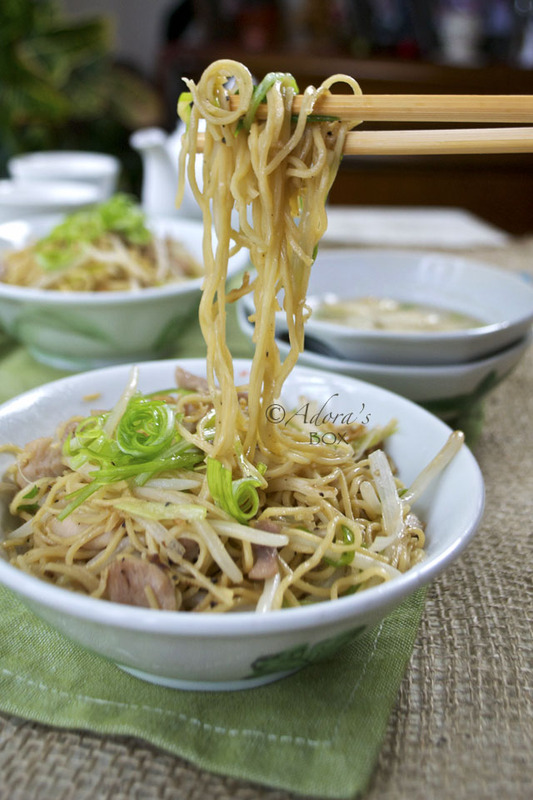 You dont see at all any meat or vegetables in it at all; but sometimes you can see just a few beansprouts in there. This rice noodles are so plain in looking but they can be tasty, but usually they have side condiments you can select to go with your rice noodles; such as sambal, fried egg, sausage, etc. Hope Im not talking too much here....hehehe. Yum. Yum. Yum! 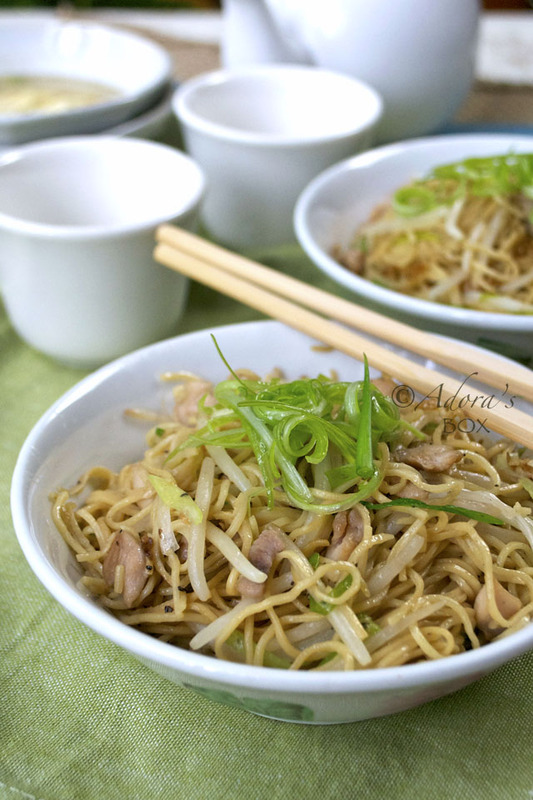 I rarely eat noodles but love simple yet flavorful recipes like this one!